After Pavlograd, there is another basic income experiment being assembled in Ukraine. 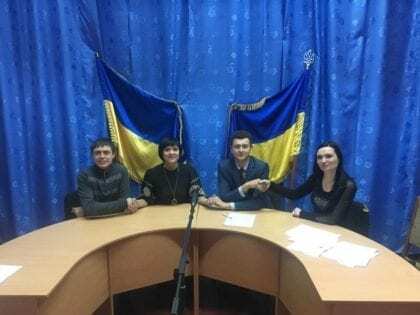 This time it was announced, on the 15th of December 2018, by Artem Kuharenko, the head of the Podolskoe village council, in the Cherkasy region. Along with Natalya Protasova, who chairs the Board of the Basic Income social organization in Ukraine, Kuharenko informed that the pilot will involve all of the village’s inhabitants (550), over a two-year period. This basic income experiment will disburse a regular, unconditional cash transfer of 200 €/month to all Podolskoe villagers. Funds are being collected, from budget surpluses and crowdfunding. Kuharenko, the youngest village mayor in the country, with only 25 years of age, aims to raise his village’ inhabitants standard of living, increase the attractiveness of rural life and bring in more people, especially young ones. There is no information, at the moment, about how the experiment is to be conducted, namely if there will be a control group (e.g. : another village), or how recipients will be monitored (e.g. : measurements of income, social activity, health, work load, etc. ).